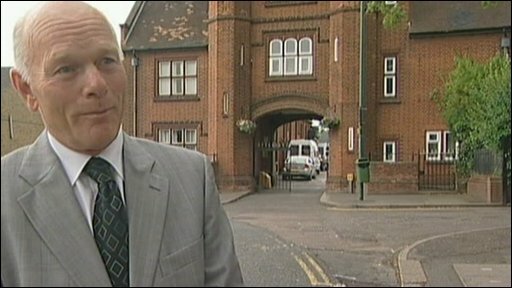 The headmaster of a Kent school has said it will pay formal tribute to a former pupil who died in Afghanistan serving with the British Army. Capt Ben Babington-Browne, 27, who died in a helicopter crash on Monday in the southern Zabul Province, was the vice captain at Maidstone Grammar. "I think his funeral and the way to mark his passing will take place in the school holidays," said Neil Turrell. "But we have got speech days and end-of-year ceremonies coming up." He said members of staff were in tears when they were told of Capt Babington-Browne's death. "It took my breath away - it seems such a short time ago that Ben was in the school," said Mr Turrell. "I am quite sure we will think of some way to pay our respects to Ben and what he meant to us." Mr Turrell said Capt Babington-Browne was an intelligent student who had been interested in mathematics and English literature. "He was fantastic. He was one of those boys who had everything, really. He was a graceful person and his interpersonal skills were outstanding." Capt Babington-Browne leaves his mother, Nina, who lives in Maidstone, and his brother, Daniel. 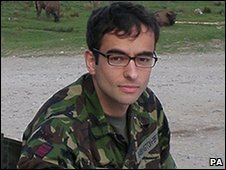 In a statement issued by the Ministry of Defence, his mother said his family and friends were heartbroken. "One of the brightest stars in the firmament has been lost in the line of a duty which was second only to his love for his family and friends. "We are all immensely proud of all his considerable achievements in his short life," she said. Capt Babington-Browne was serving with 22 Engineer Regiment, Royal Engineers. Two Canadian soldiers were also killed in the helicopter crash. Headmaster of Maidstone Grammar School Neil Turrell speaks of Capt Babington-Browne's leadership qualities.